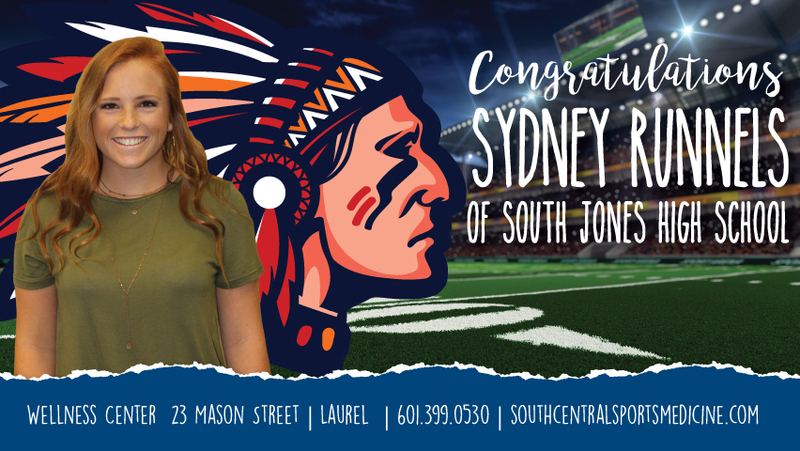 Sydney Runnels, Senior at South Jones High School, was chosen as a South Central Sports Medicine Scholar Athlete. Sydney plays softball at South. After graduating in May, Sydney plans to further her academic and softball career at Pearl River Community College. Sydney’s hobbies include traveling, mission trips, and spending time with friends and family. “Knowing any game could be my last is what motivates me.” Sydney’s step dad, who played baseball at Ole Miss, is someone she looks up to because he helps perfect her skills. Tim Tebow is an athlete she admires because of how he honors Christ through football.